It is the new name for an old product— Apidexin diet pill. Both products are produced in the US by and are identical in every way apart from the name on the bottle. Sometimes rebranding such as this is initiated by unscrupulous companies who wish to continue marketing a product that has secured a bad reputation, but although the original weight loss pill failed to set the world alight, neither did it enflame particularly heated criticism from consumers; so why the change? Apparently they believed it was necessary to prevent buyers from confusing their product with the prescription drug Adipex P.
Abidexin carries a higher price tag than many competing products, but all purchases are protected by a 90 day money back guarantee, irrespective of the chosen vendor. The recommended dose is one to three capsules, taken once each day, but consumers who opt for the maximum dose will discover their bottle empties fast because each bottle contains just 30 capsules. The manufacturers claim Abidexin can “produce visible results, fast”, but many other manufacturers make similar claims for their products then fail to deliver on their promises. Let’s take a look at the ingredients and see if any of the claims are likely to ring true. Green Coffee Bean Extract (100 mg): Certain to provide an extra helping of caffeine, but may also offer other benefits because Green coffee beans contain high levels of the proven fat burner, chlorogenic acid. Green Select Phytosome Green Tea (75 mg): Green tea extract with an added trademark. Green tea is a known antioxidant, and very beneficial to the health, but its potential for encouraging weight loss is yet to be proved. Irvingia Gabonensis (75 mg): The technical name for African mango seeds. African Mango came into favor after it was endorsed by the American TV personality Dr. Oz, but his colleague, Dr. Edwards, who also endorsed the product, later revealed many supportive studies were conducted by researchers who stood to benefit from the product’s success. Co-Enzyme Q10 (25 mg): This enzyme occurs naturally in the body, and can also be found in many food product such as fish and liver. It is essential for new cell production in the body and can combat illness and even protect against cancers. Sadly this is a typical response. No side effects are reported, but pregnant and nursing mothers are advised to avoid this product. It can also lower blood pressure and blood sugar levels, so anybody who has known health issues is strongly advised to seek medical advice before deciding to use Abidexin. 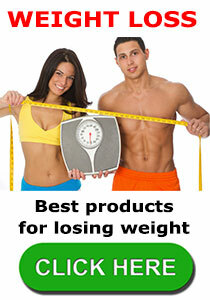 The official website displays easy to find contact details and offers a good level of customer service. All of this suggests that they are a reputable company, but Abidexin does not appear to have the ability to live up to its marketing hype. The official website appears to be the only suppler and stockists. 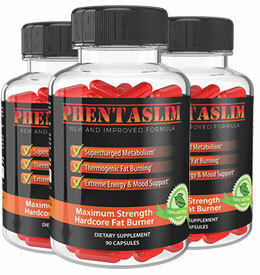 We recommend Phentaslim a commercial diet pill that can be purchased without prescription. This entry was posted in Appetite Suppressants and tagged Abidexin Canada, Abidexin GNC, Abidexin or Apidexin, Abidexin Walmart, Apidexin Abidexin Differences by admin. Bookmark the permalink. I have bought Abidexin, tried it for 3 months and it has done absolutely nothing. I am still the same weight as when I started. There is a new product called Abidexin Super Shredded in a black bottle … does anyone know what this is and is it any good?